Some situations just never get better. And I wonder: God—where are you?? We’re two weeks into Lent and the darkness is starting to settle in. I’m feeling the effects of self-denial and am not enjoying it. But worse is the longing for resolution to a long-standing problem. Lord—this is crushing me! I cry. Where is the end? I am trying so hard to love like you do, and forgive. When is it enough? The Sunday readings speak into the darkness, shining a strengthening light. The gospel, like every 2nd Sunday of Lent, is the Transfiguration. This year (C), it’s from Luke. Surprisingly the first reading, which so easily could be about Moses or Elijah (who appear on the mountain with Jesus), is always from the life of Abraham. Why? The Transfiguration launches Jesus on a journey to glory that passes through suffering and the cross. Similarly, God’s promise to Abraham launched him on a journey that led through the sacrifice of his son. We are on a similar journey of faith—through Lent and through life)—to a promise that hangs in the future. To get there, we must take up a cross. Genesis 15 is where Abraham looks to the stars and believes God’s improbable promise of countless descendants and a land to call their own (improbable because Abraham’s wife is barren and they are wandering nomads). 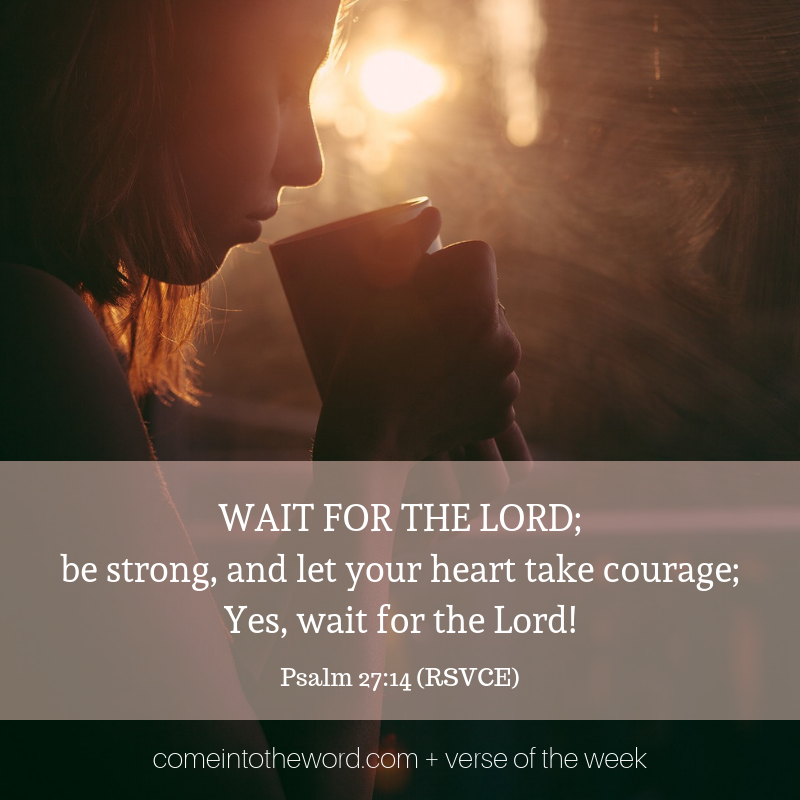 It’s also the occasion when God swears absolutely that he will do it. To get to that point, God has asked Abraham to leave everything behind and follow him blindly, to trust in his good plan regardless of how anything might look. No wonder the passage is filled with images of light and dark: stars that can’t be counted; a terrifying darkness; a smoking fire pot and a flaming torch. The stars represent the improbable hope. The terrifying darkness might be the state of Abraham’s mind. It’s the darkness that afflicts everyone at some time, that impotent state of not seeing the way to go forward. 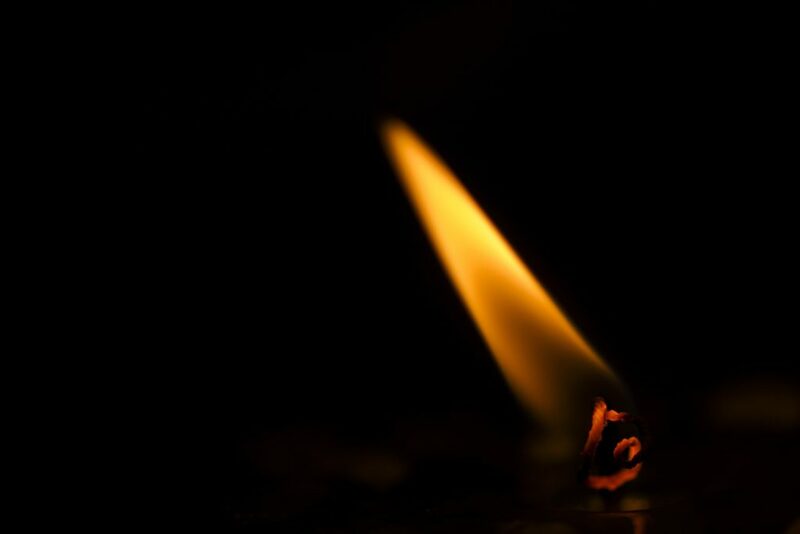 But it is into that darkness that God appears as a flaming torch to seal his promise. And so the Psalm . . .
St. Paul speaks not of physical darkness and light but of the spiritual darkness of sin, which leads to death; and the light of following Jesus, which leads to heavenly glory. We can set our eyes on the enemies of Christ, do as they do and share their end; or we can look to Jesus and imitate those who follow him, set our sights on heaven and be transformed to be like him in glory. Missing from the excerpt we hear from the gospel at mass is the beginning that gives us the context: “Now about eight days after these sayings,” Luke says, Jesus takes three disciples on a mountain to pray. In this way, he links the Transfiguration directly to the time Jesus told his disciples he would suffer, be killed and then raised. He also said anyone wanting to follow would have to take up his own cross first. Walking with the disciples in my mind, I’m thrown back into darkness. 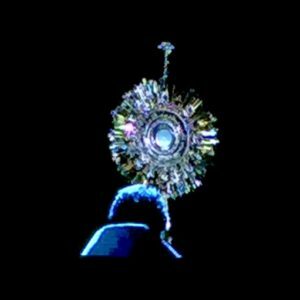 Is this what it means to follow Christ? In this situation that weighs on me: must I continue to offer myself? Where will it end? “After these sayings,” Luke begins. After those words about dying and taking up one’s cross. Then “listen to him,” he ends. Listen to the one who will die, but who here is transfigured as a bright light before you. Take note: this is where the Passion leads! To glory. This is where your cross will lead too, if you listen to and follow the Light. You will be transformed to be like him. 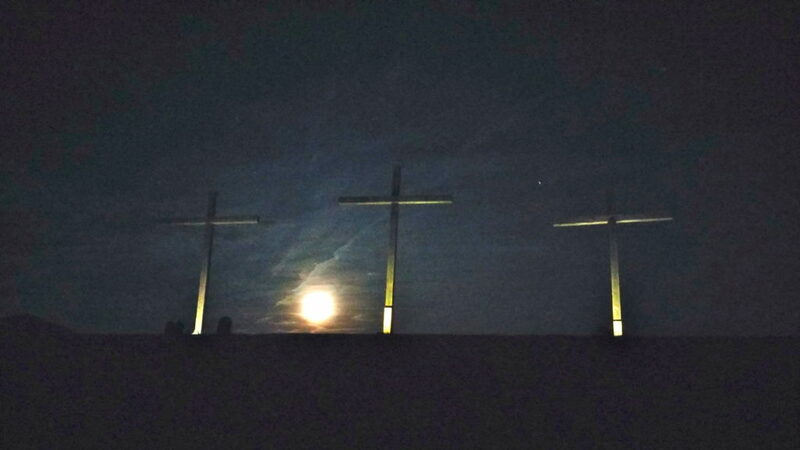 Moonrise behind empty crosses at Blackrock Retreat Center. He is risen! Photo by Sarah Christmyer. We live in a fallen world that is dark, but God is there in the dark. The Lord is here with his light, bringing guidance and comfort and pointing the way to a promised and certain, glorious end. Great are you Lord! . . .
Beautiful and lots of food for thought for the coming week. Thanks, Sarah!